If there are workshops you are interested in that we have not listed below you can fill out this form and tell us what you are after. ​This unique two-day workshop brings together the worlds of design and evaluation to provide participants with the opportunity to increase their knowledge and skills in program design and evaluation. Delivered in collaboration with White Light Education. Social network analysis (SNA) is a particularly useful approach for capturing the structure and interactions of the networks and connections that exist between individuals, groups and organisations. SNA provides a framework for collecting and analysing data and displaying it through network maps. Need an example? 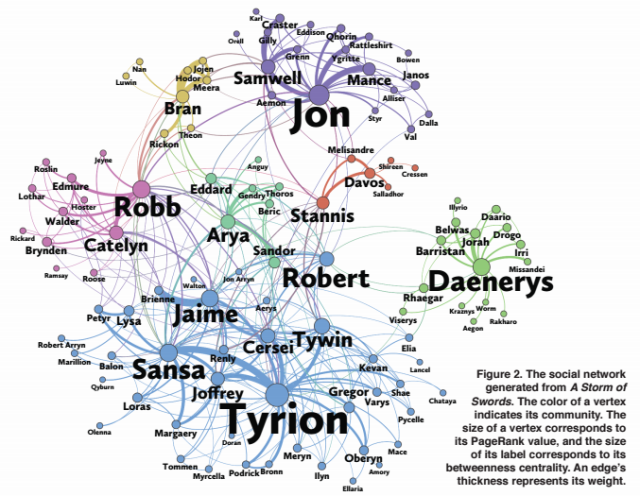 Try this network map of Game of Thrones characters (Click here). This workshop will introduce SNA to attendees as an evaluative technique, the theory that underpins it and the ways it is implemented. This is an introductory level workshop with no prior knowledge needed. The skills learned here will be useful for a range of responsibilities - from evaluation or program design through to stakeholder engagement.